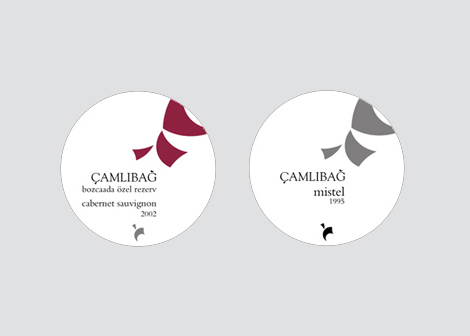 Camlibag is a wine brand from the island of Bozcaada in the Aegean Sea. 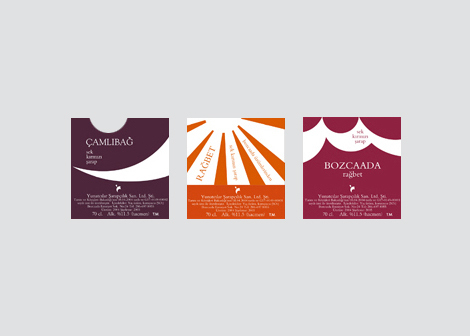 Zeo was asked to rebrand the twelve wines under the Camlibag brand. Bozcaada is known for its windy climate, wind farms, and sailing competitions. It is very popular with tourists and mostly visited by younger crowds thanks to the annual music festival. The new labels appeal to the young eyes with their colors. The designs represent the island's winds. The labels are round to symbolize the island. 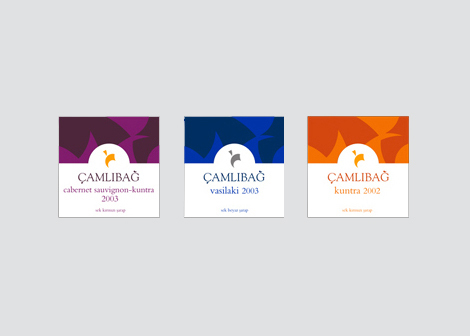 Zeo also created the identity for Yunatcilar, the source brand for Camlibag. The two identities share the same graphic elements. 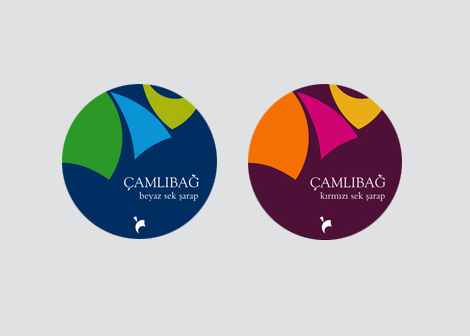 The two pieces of the Yunatcilar symbol are used in the Turkish characters of the Camlibag logotype.